 Crisis Centre for Men in Belgrade, conducts treatment for men who have a problem with violent behavior towards their partners (spouse, girlfriend, ex spouse, etc.). Treatment is based on the appropriate treatment model that the Norwegian organization Alternative to Violence (ATV) develops for more than 20 years. We have very positive experience on the efficiency of this treatment, as the most of our clients overcame their violent behavior. RESPONSIBLE FOR THE VIOLENCE IS WHOEVER MAKES IT! Many men think that violence is a natural reaction the provocative situation with a partner. In Crisis Center for Man, the perpetrator of violence in a relationship has a chance to gradually assume responsibility for his violence, as well as insights on how he chose to use violence, as well as how to build own non-violent style of dealing with frustrations. Partner violence is causing problems. Victim of violence suffers serious consequences. This certainly applies to the your children, as well. Any violence creates fear, uncertainty, mistrust and humiliation. Violence destroys all positive feelings, including love. Violence damages the one who carries it as well. When hitting, yelling or threatening a loved one, you violate yourself. Your children as witnesses of violence will develop behavioral problems and learning difficulties. The Crisis Centre for men is operated by specially trained psychotherapists and psychological counselors, with extensive experience in the protection of the family as well to domestic violence. Call us or contact via e-mail. Having verified that your partner is safe, we will firstly discuss several times, individually, and then we will decide together about your involvement in the group work – work with the other men who were violent in their intimate relationship (marriage, community, after divorce, etc.). Individual interviews and group treatment takes place in the afternoon and early evening, in our premises in the center of Belgrade. Take full liabilities for your violent behavior towards partners and work in a group of men with the same problem – with our expert leadership, in discretion guaranteed by psychotherapeutic process.